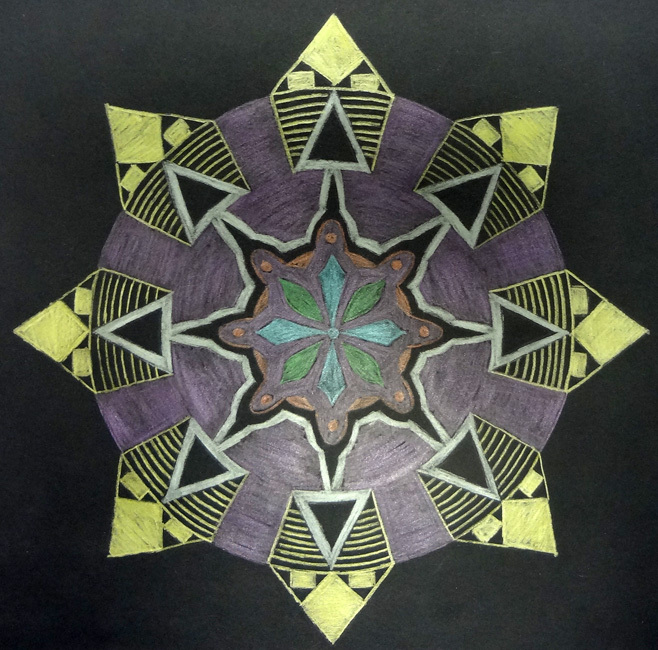 I’ve used mandalas as a way of teaching radial balance in the past, but this year I decided to use them for Proportion and Emphasis. I gave my students polar graph paper to sketch their design onto. This project is amazing for times in the school year when the students are high strung (right before a break or during testing.) 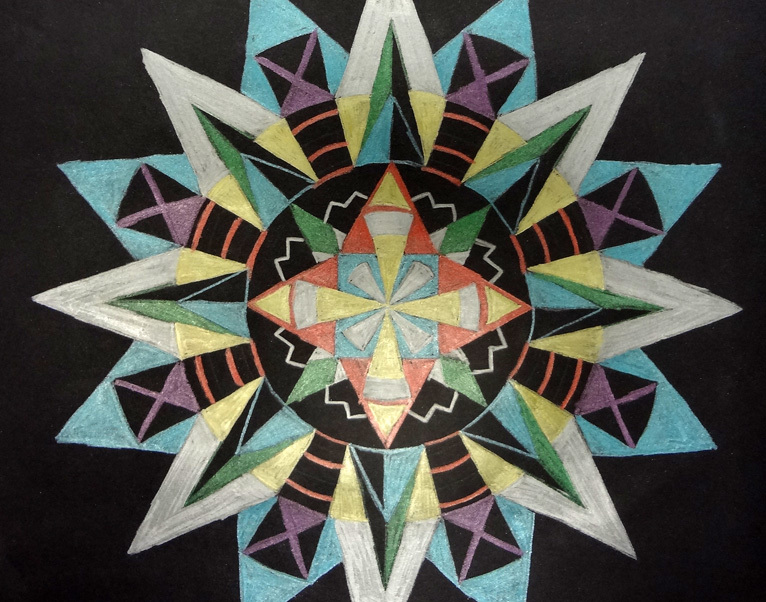 The process of sketching, transferring, and adding color to such simple, but intricate designs really creates a calming effect. During the sketching portion, I encourage students to create different proportions. I explained that a mixture of different sizes of shapes would create the most interesting design. Once they finished sketching their design, I had them transfer it by shading the back of their paper with solid pencil and then taping their sketch to the black paper with the design facing up. (Painter’s tape is less likely to tear the artwork when you are taking the sketch off.) 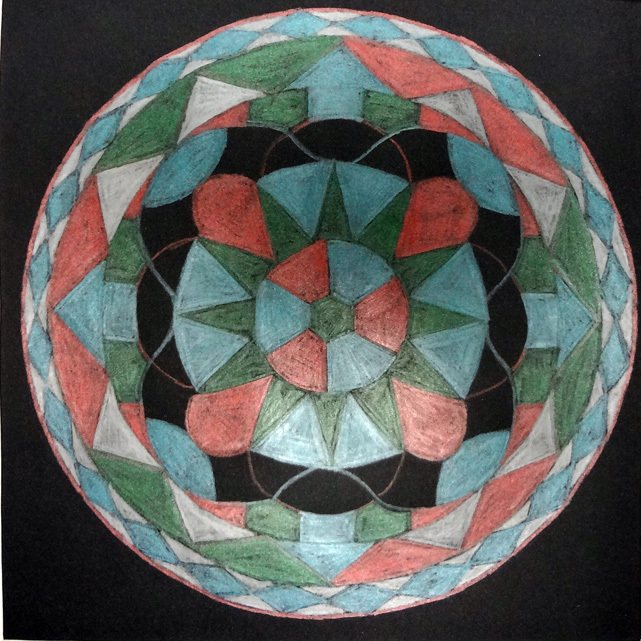 Tracing over their sketch would create a light carbon copy on the black paper. 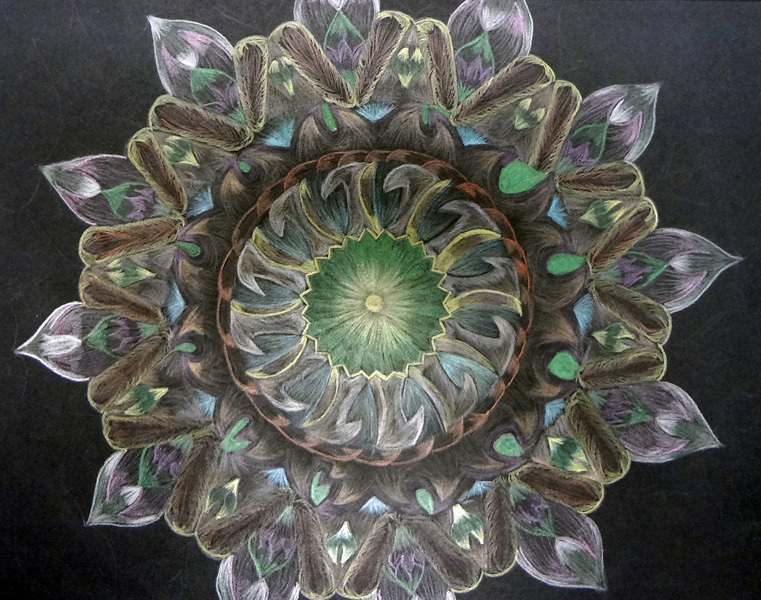 After they had transferred their sketch, they began using metallic colored pencils to emphasize parts of their design. They could create Emphasis by either leaving parts of their design black or by creating different shades. The metallic pencil looks incredible against the black paper! My students really enjoyed using them.